Study of heat transfer by free and forced convection in a vertical duct. A heater with different heat transfer surfaces is attached to the middle of the duct. A window is provided for visual inspection of the heating surface. Air enters the duct at the bottom and escapes via the top. A fan is attached to the top of the duct to induce forced convection. 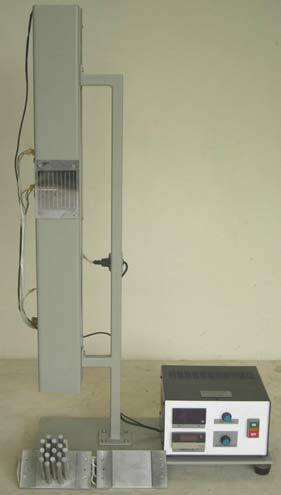 Air velocity is measured by a thermal probe anemometer. Temperatures of hot surface and of air at different points in the duct are measured by thermocouples. A control and display panel is provided for wattmeter and temperature indicators. 220V, 50Hz.